Set in beautiful surroundings close to the Stratford-upon-Avon Canal, near Birmingham and Solihull, the three waters at Earlswood Lakes have been popular for angling and walking since Victorian times. 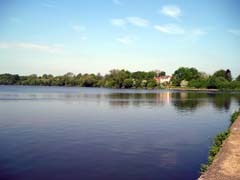 Earlswood lakes are three attractive, large reservoirs and nationally renowned as prolific match venues as well as being extremely popular with pleasure anglers. In October 1999, the Engine Pool was virtually drained and all fish stocks removed. All the bream and larger roach were transferred to the Windmill Pool and all other fish were transferred to the local Stratford Canal. Between November 1999 and March 2000 the Engine Pool was stocked with five tons of carp averaging 8-10 oz. At the same time a new car park was built, plus new footpaths and 80 large timber platforms installed. Engine Pool is 25 acres in size and holds 105 pegs. The carp have grown extremely quickly since being first introduced and now average 8-9lb each. In the first year of being stocked the venue broke the British five-hour match record with an impressive 414lb 14oz. This fish are now a lot bigger so they take longer to get in, but also a lot wiser, but you can still expect 200lb+ match weights in the summer. Average weights including back-up weights are normally 80-100lb. 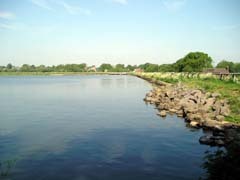 Windmill Pool is also 25 acres in size offers fishing from one side and the dam wall only. It holds 65 pegs and primarily known as a natural water. It is heavily stocked with bream, skimmers and roach. These are main target species and the tactics generally associated with these species score the best. There are some large resident carp in here but they are rarely caught, probably down the tactics and equipment used to catch bream and roach. Normally winning match weights are 30-40lb, sometime slight higher if the large bream feed, but matches are generally close between the top five or six weights. 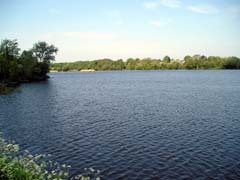 This reservoir is also very popular with the pike anglers during the winter months. 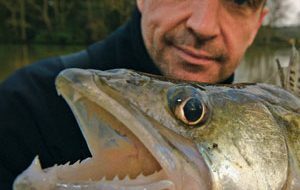 It holds pike that mainly average 14lb with numerous 20s coming out over the winter period. Terry’s Pool is a picturesque 20 acre lake totally surrounded with over anging trees. Fishing is only allowed on the dam wall bank and is only available on a season permit which is available at £40 per year. The rest of the reservoir is kept as a nature reserve and this reservoir still incorporates a close season from 15th March to the 16th June. 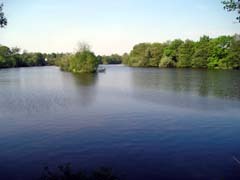 Terry’s Pool contains good stocks of pike, bream, carp and tench as well as shoals of silver fish. 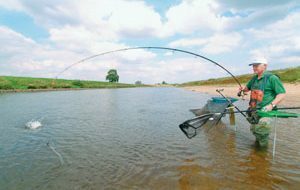 Terry’s Pool – a picturesque 20-acre mixed fishery. Windmill – when on form the bream fishing is fantastic. British Waterways has introduced a season permit which covers all its commercial fisheries in the West Midlands business unit. These are Earlswood Lakes(Engine and Windmill pools only), Blythe Waters and Stockton Reservoir. Full permit, which allow anglers to fish any day of the week, cost £156 a year and Concessions (subject to holding a concessionary rod licence) cost £130 a year. Matches: Regular open matches are held on Saturdays.